ABC Classic FM’s listener-polled favourites list, Classic 100-20th Century compiled in 2011, the year that this CD set was released, features five entries written by Edward Elgar, including the number one spot, confirming his enduring popularity. 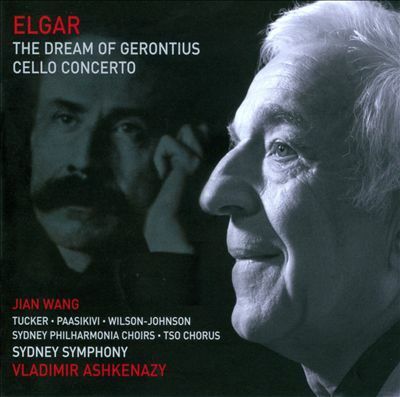 This CD set, another of the Sydney Symphony live series, features two of Elgar’s best known and loved works. The two works have both been recorded many times before, but for each this is the first Australian recording. The recording history of the Cello Concerto, Elgar’s last symphonic work and the piece which topped the Classic 100 list, has covered a wide range of performance styles. Certainly, performance technique is quite different now from the time of the first complete recording conducted by Elgar in 1926. Favourite past recordings in contrasting styles include those by Steven Isserlis, performing on gut strings, an impassioned 1965 recording from the very young Jacqueline du Pré, and the much-favoured 1985 recording of Julian Lloyd-Webber. 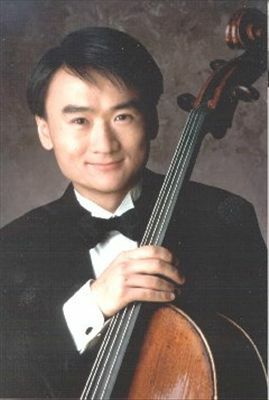 In this present recording, Jian Wang is powerful, yet steady and controlled without emotional excess. Ashkenazy allows the rich melodic lines of this dark and melancholy piece to shine. Elgar’s massive ‘oratorio’ The Dream of Gerontius also has a long recording history. Based on a poem by Cardinal John Henry Newman, this dynamic and dramatic work, first performed in 1900, suffered in its early performances in Protestant England from its association with Catholicism. It wasn’t long before the piece was revered as a powerful and popular work. This wonderful recording amply demonstrates the drama of the work, linked throughout by a limited set of melodic motifs. The live recording process works well in this instance, resulting in a very “honest” rendition. Although some finer details are lost through the process of capturing the ensemble sound, the balance closely matches the concert experience. In two contrasting sections, Part 1 details the passing of Gerontius, and Part 2 the passage of his soul to Heaven and his presentation before God for final judgement. Lilli Paasikivi, singing the part of the Angel who intercedes on behalf of Gerontius’ soul, is remarkable. One of the highlights is the choral performance in Elgar’s setting of the hymn “Praise to the Holiest in the Height”. The recording well captures the dynamic of the gripping conclusion. This disc will be a fine complement to the collection of any fans of Elgar or of the SSO.